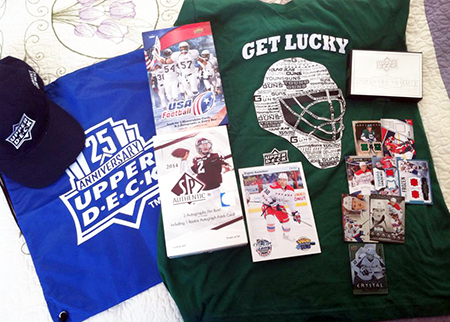 Join the Upper Deck Volunteer Alliance – Score Free Packs, Boxes, Promos Memorabilia & More!!! Upper Deck’s Volunteer Alliance program debuted as a way to involve fans in our mission to grow the hobby back in 2010. Today the Alliance is still going strong and members who are active in the program love the benefits of interacting with other collectors in the community, but also scoring free packs, boxes, promotional cards, memorabilia and more. Brennan Zimmer Got my mail day a couple days ago and it was great! Thank you Upper Deck!! Looking forward to the next mission! Ryan Pawczuk Very lucky! Some awesome new items to add to my personal collection! Thanks Upper Deck! 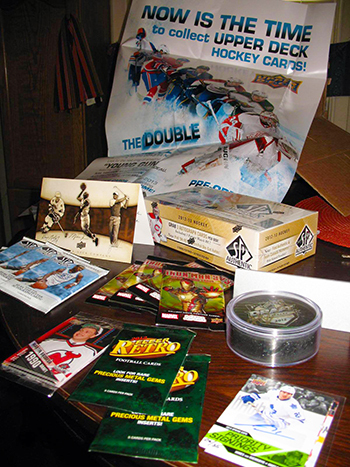 For participating in Volunteer Alliance missions, members can earn free mail days loaded with Upper Deck goodies based on their favorite sports. Tim Yount Wow! Thank you so much Upper Deck. I am speechless! Matthew Gilman Thank you Upper Deck on this awesome mail day! I am looking forward to the next mission! Members love to receive these special mail days for their efforts! Mission assignments vary, sometimes it is to help promote a new product or promotion while other times it is more general like sharing tips on how to enjoy the hobby of collecting sports cards. Join Upper Deck’s Volunteer Alliance today! Amazing Idea! I totally want to join the alliance!! What a great way to grow the hobby!! Send the challanges my way! I am ready to take on all the missions and become an honest and frue voulantear! Hi I’ve tried to volounteer could I please have someone contact me about it, have been an avid hockey fan for years share what I can and do what I can do, don’t need free stuff but wanto help out thanks Peter.